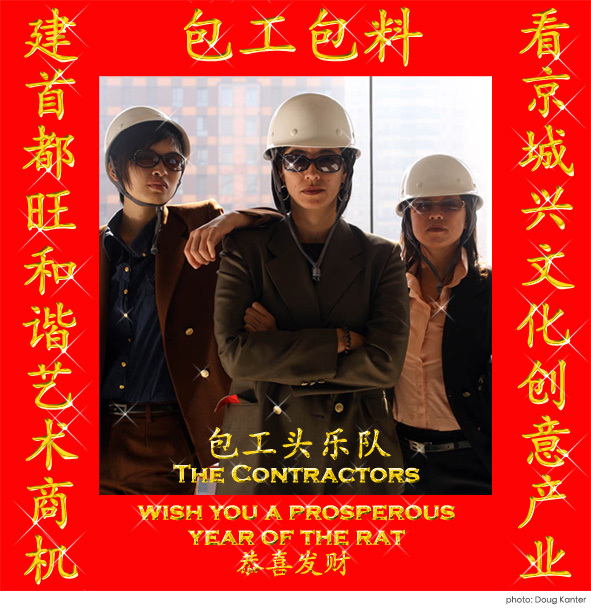 On April 5 2008, The Contractors will open a platform for trade, promotion and business inside the Long March Space. 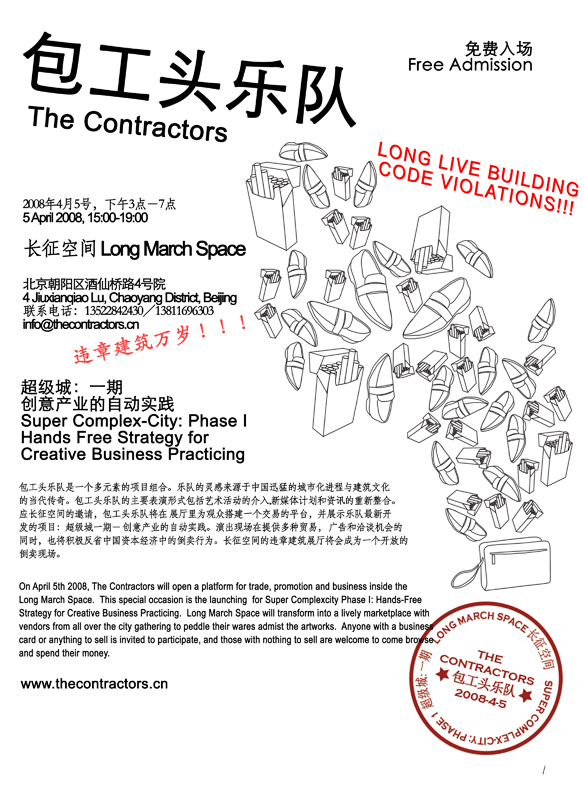 This special occasion is the launching of Super Complex-City Phase I: Hands-Free Strategy for Creative Business Practicing, an irreverent take on the runaway capitalist economy within China. Between 3-6pm the Long March Space will transform into a lively marketplace with vendors from all over the city gathering to peddle their wares amidst the artworks. Anyone with a business card or anything to sell is invited to participate, and those with nothing to sell are welcome to come browse and spend their money.